This project Bus Ticket Booking System has been developed in C#, ASP.Net and MySQL. We are providing any types asp projects for students with source code, database, and documentation. We provide full asp.net projects for students with source code and also mini asp.net projects with source code free download in c#. These are mainly web based projects for semester students. 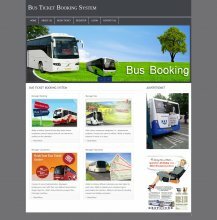 The main aim of this project is developing a ticket booking system for bus. 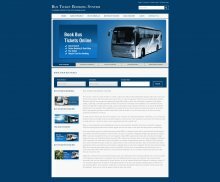 In this mini asp.net project Bus Ticket Booking System there is a single user customer. Customer can book ticket and also see bus details. This is easy c# projects which student can easily configure it and learn a lot from these. We will provide c# projects for beginners with source code and database. 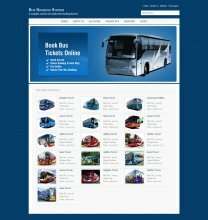 This Project Bus Ticket Booking System has been developed on PHP and MySQL. We have many best php projects free download with source code and database. The main aim for developing this project is to provide details of buses, buses routes, bus number and departure time of the bus. This system can manage bus details, tour details and customer details. There are two types of users available in the project, first one is customer and second one is Admin. In this project admin can add new system user, buses, buses company, buses type, buses routes etc. Here you can free download php projects, the project including final year academic application. We have many good collections of java software projects with source code and database This project Bus Ticket Booking System has been developed on Java, JSP and MySQL. The main aim for developing this project is to provide details of buses, agent who are booking tickets for customer’s journey which give bus number and departure time of the bus. This system can manage bus details, tour details and customer details. It can also maintain the details of booking time of the seat(s) or collecting time of the tickets, the booking date and the name of agent which is optional, by which the customer can reserve the seats for his journey. The main objective of this Bus Ticket Booking System Project in Java is to provide the better work efficiency, security, accuracy, reliability, feasibilies. These java projects for learning and submission in college. Students can select online java projects topic from given list and download easy java projects with source code.